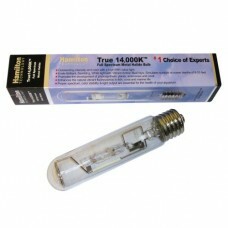 Assembled 175 watt ANSI M57 ballast in a black aluminum enclosure Powerful, High Performance, Reliable with Long Rated Life Use with any 175 watt Metal Halide E39 Probe start bulb Includes: 3 prong quick disconnect, 6 foot grounded power cord, louvers for cooling and solid mount .. Assembled 250 watt M58 ballast in a black aluminum enclosure Powerful, High Performance, Reliable with Long Rated Life Use with any 250 watt Metal Halide E39 Probe start bulb Includes: 3 prong quick disconnect, 6 foot grounded power cord, louvers for cooling and solid mount .. 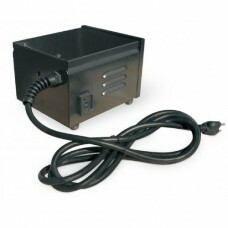 Assembled 400 watt M59 ballast in a black aluminum enclosure Powerful, High Performance, Reliable with Long Rated Life Use with any 400 watt Metal Halide E39 Probe start bulb Includes: 3 prong quick disconnect, 6 foot grounded power cord, louvers for cooling and solid mount rubbe..
Electronic 250 watt ballast in extruded aluminum enclosure Save up to 20% in electrical consumption compare to standard Magnetic ballast Dimmable - can run the bulb at 125W/190W/ 250W/ 275W Includes: 3 prong quick disconnect, 6 foot grounded power cord Use with any brand 250 wa..
Electronic 400 watt ballast in a blue aluminum enclosure Save up to 20% in electrical consumption compare to standard Magnetic ballast Dimmable - can run bulb at 200W/300W/ 400W/ 440W Includes: 3 prong quick disconnect, 6 foot grounded power cord, louvers for cooling and solid mo.. Assembled HQI 150 watt ballast in a black aluminum enclosure Powerful, High Performance, Reliable with Long Rated Life Use with any 150 watt Metal Halide Double-Ended HQI or Pulsetart bulb Includes: 3 prong quick disconnect, 6 foot grounded power cord, louvers for cooling and sol..